A fairly concealed position some way back along the flat crest of a hill 500 ft high, from which commanding altitude it could fire in any direction. 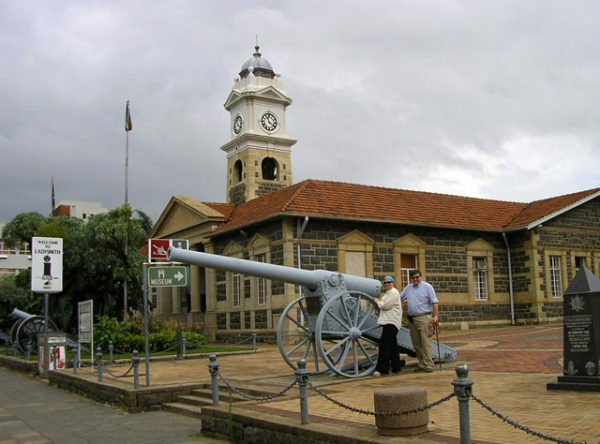 Originally occupied by the Natal Naval Volunteers with an antiquated 7 pounder, it became home to the Princess Victoria Battery, who had one of the two 4.7 inch ships guns and were joined by one of the 12 pounders to the west of the redoubt which engaged the Boer guns on Surprise Hill and Rifleman’s Ridge. They were in direct telecommunications with Headquarters in town.